Sometimes I ask myself if market forces are broken. All over my suburb I get art, totally for free. An army of workers accept nil pay, terrible hours, and poor conditions to head out and paint each night. Not only do they work without pay, but they are forced to buy their own materials and if they get busted, the justice system is not kind. What motivates these characters? Is it the cash?? Once upon a time, the notion would have been ridiculous. Graffiti was a way to raise your status among people who never had the chance to finish school or get the Benz. There was no money in it. The graffiti economy works for guys like Cope2, who grew up in the Bronx and illegally painted subway trains for 20 years before cashing in. He sells pieces for around €3000. Banksy is the other case in point – probably the most notable street art millionaire. 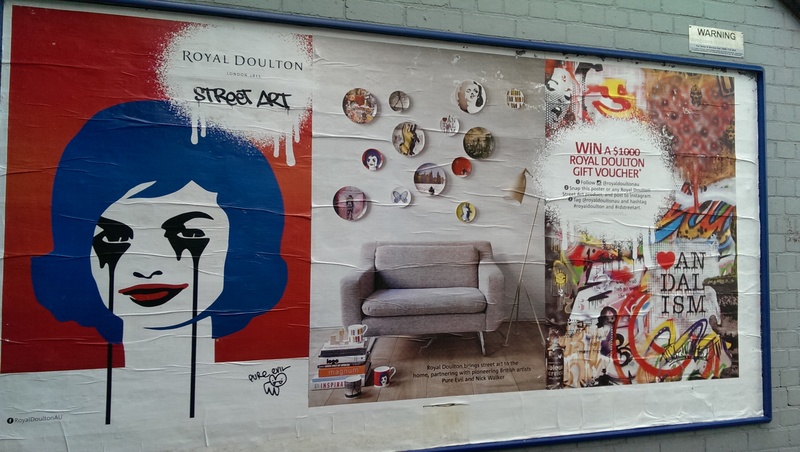 Posh dinnerware company asks: has street art jumped the shark? 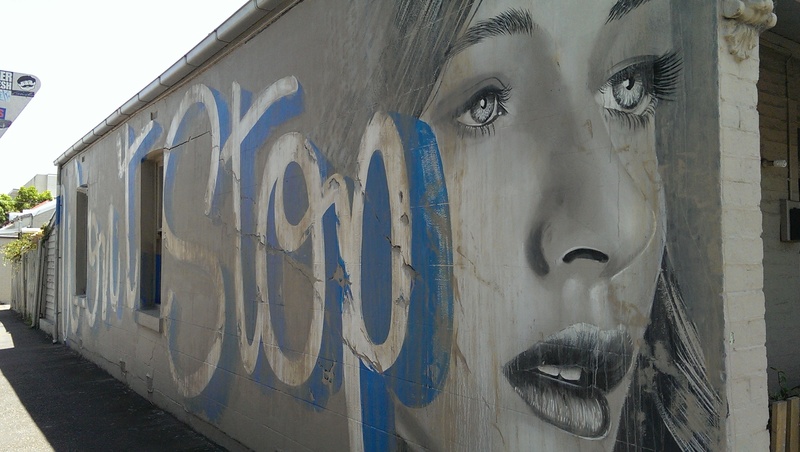 How has graffiti gone from definitely underground to potentially lucrative? The difference is in the web. Some graffiti really caught my eye when I was growing up but it was difficult to take interest in what was going on and turn it into understanding or appreciation. Then the internet came along. I contend that it has done for graffiti what radio did for music. Made some superstars. Rone’s instagram reveals that he has recently been in Miami for Art Basel, after a stint in London painting in Shoreditch and being hosted by a gallery to paint a huge wall in Berlin. The guys who I first noticed up around Collingwood and Fitzroy are from the Everfresh Crew. They have an extensive internet presence and advertise services for rent. Oh yes, there’s money in them thar walls. Collingwood’s Backwoods gallery is also in the game. They bridge “the gap between the street and the gallery wall, whilst remaining authentic to their artists’ history and vision,” by selling prints for around $100. There’s not heaps of cash in it, but there is certainly the opportunity for travel. It seems the internet lets the artists who patrol the night control their image, and helps make money from it. So is graffiti just another culture co-opted by capitalism? Not yet. 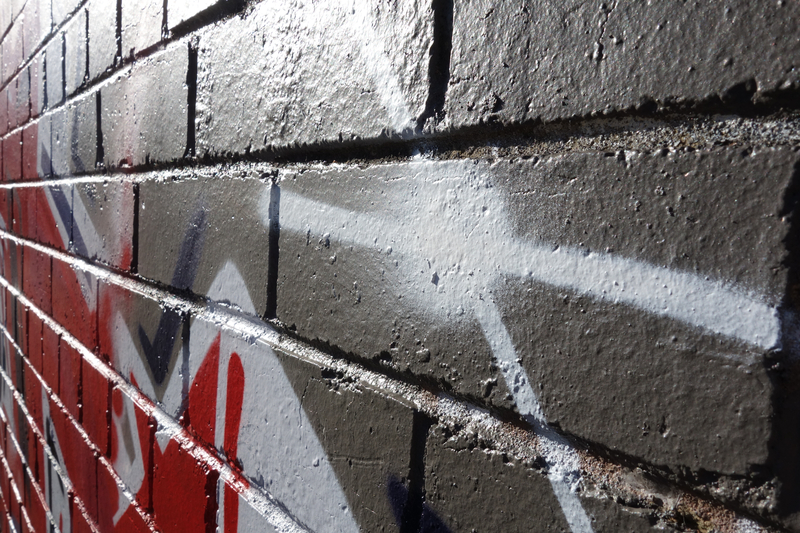 Melbourne’s graffiti scene is arguably dominated by two names. 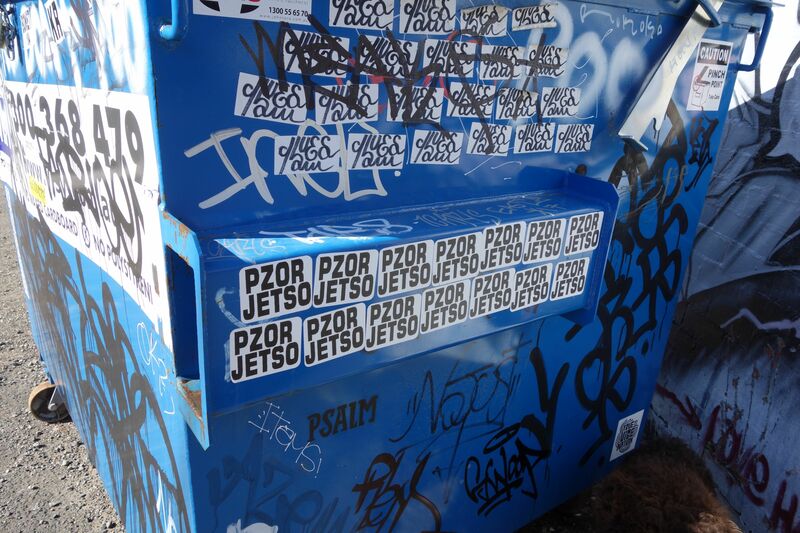 Jetso and Pzor. And this is where you can go down the rabbit hole and end up like me, taking a photo of a dumpster. If you start looking for them, they are everywhere. 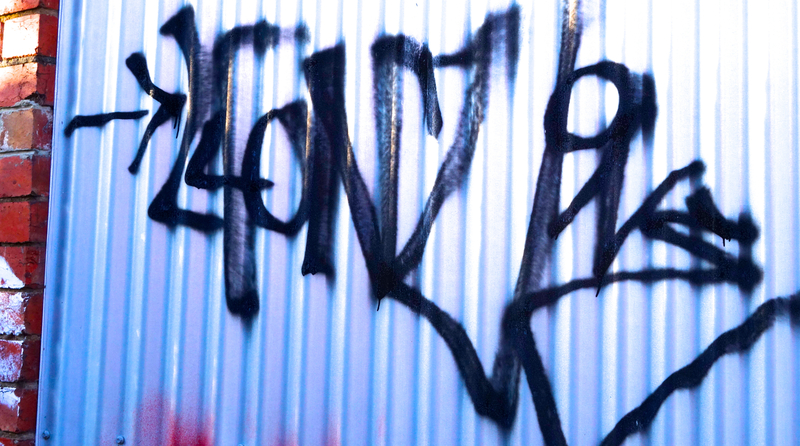 Their work tends not to be elaborate pieces but quick bubble-letter throw-ups, tags and stickers. They have no website, no instagram, no representation in the gallery scene (as far as I know). Their art is not visually appealling at first. The art is in the effort. It’s hard to find a part of inner Melbourne, east to west, that shows none of their finger prints. Once you start to notice, it’s hard not to admire. For these guys, there’s no money in it. And that tells you that for them, graffiti is not work. The question I asked above about market forces being broken is irrelevant. For these guys, painting is leisure. They’re doing it for the love of it. I respect that. 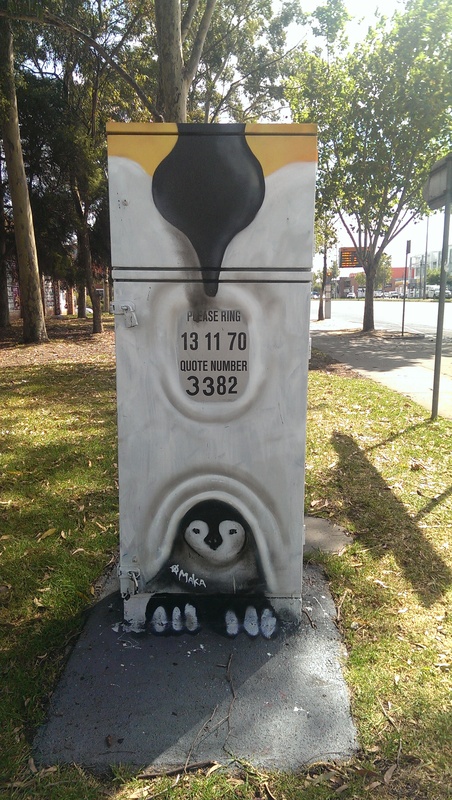 Melbourne is an amazing place, and it gets even better if you can appreciate the art that’s all around you. 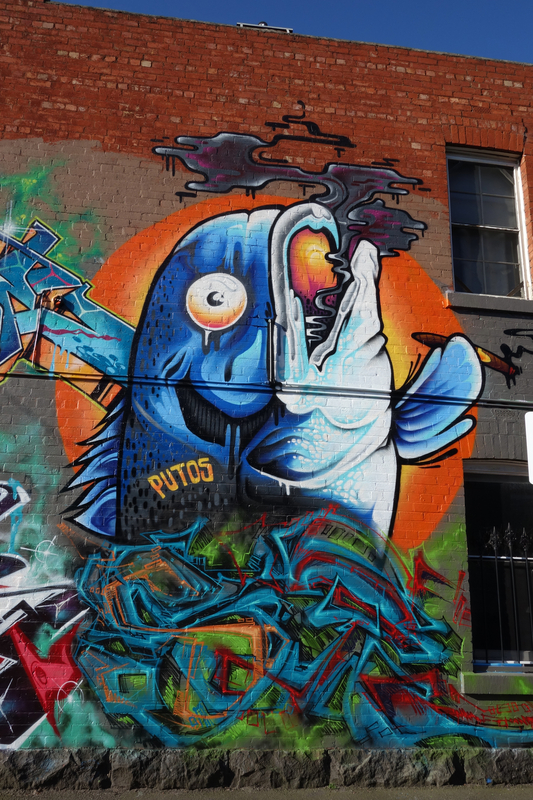 Here’s three amazing Melbourne graffiti artists you should know. “So is graffiti just another culture co-opted by capitalism?” – Perhaps it’s on the way – great example of this happening in a recent episode of Silicon Valley (http://en.wikipedia.org/wiki/Silicon_Valley_(TV_series)). You’ll have to watch so I don’t ruin any punchlines. have not even heard of that before! shall have to watch. Previous Previous post: Revealed: Australia’s manliest and womanliest foods and drinks.